With this module merchants can inform clients about news, i.e. new product where arrived or something else. 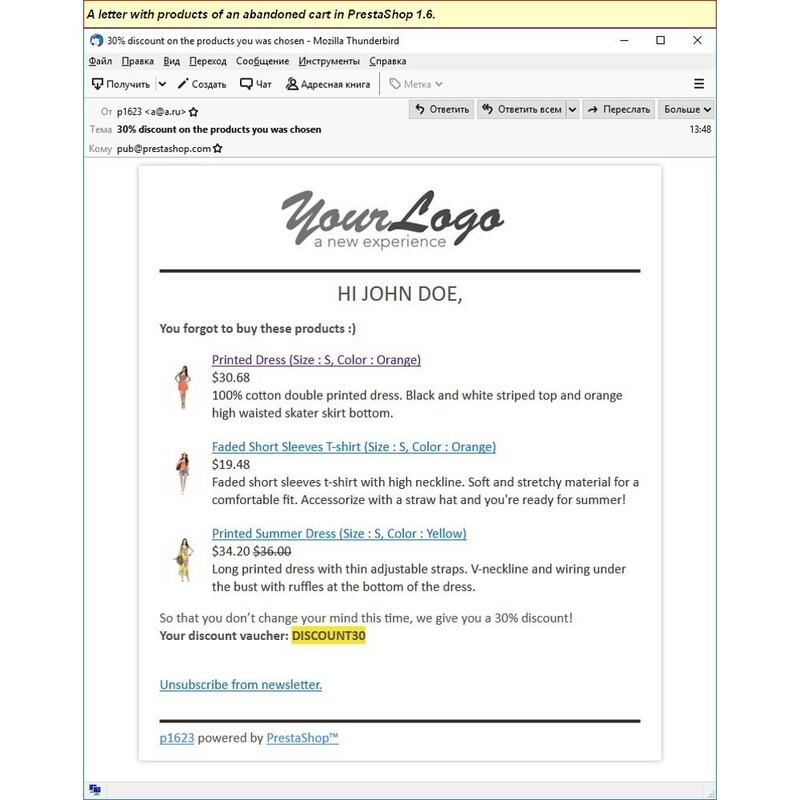 Merchants can write mails in the reach text editor to make good-looking E-mail messages. The module allows to create marketing campaign because of support UTM-labels. 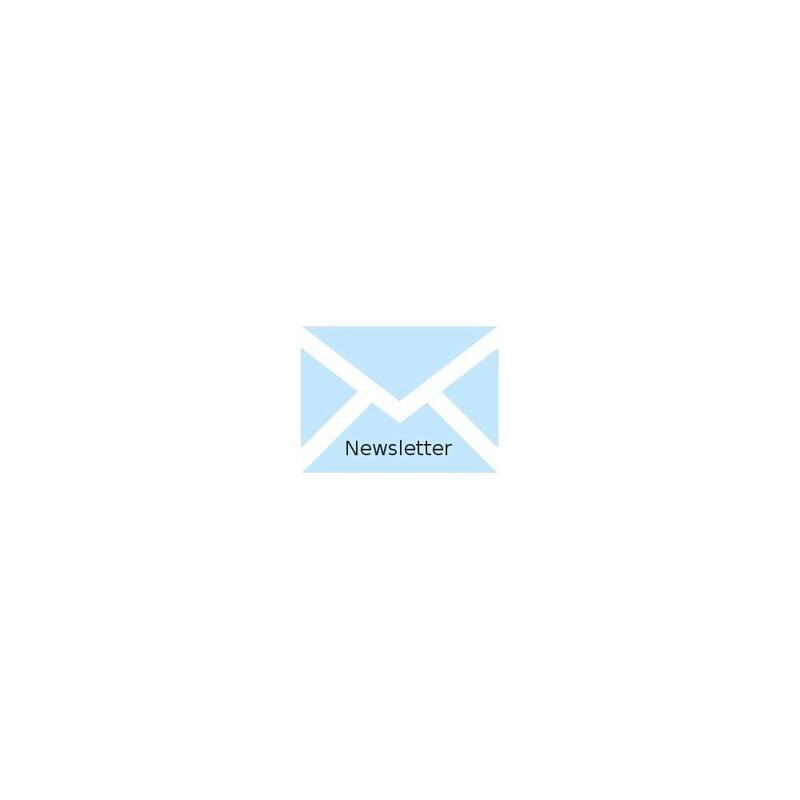 Real-time emailing newsletters (you can watch the process and fully control it). Multi-language support (a customer can choose his language; you can send newsletter to customers with concrete language). 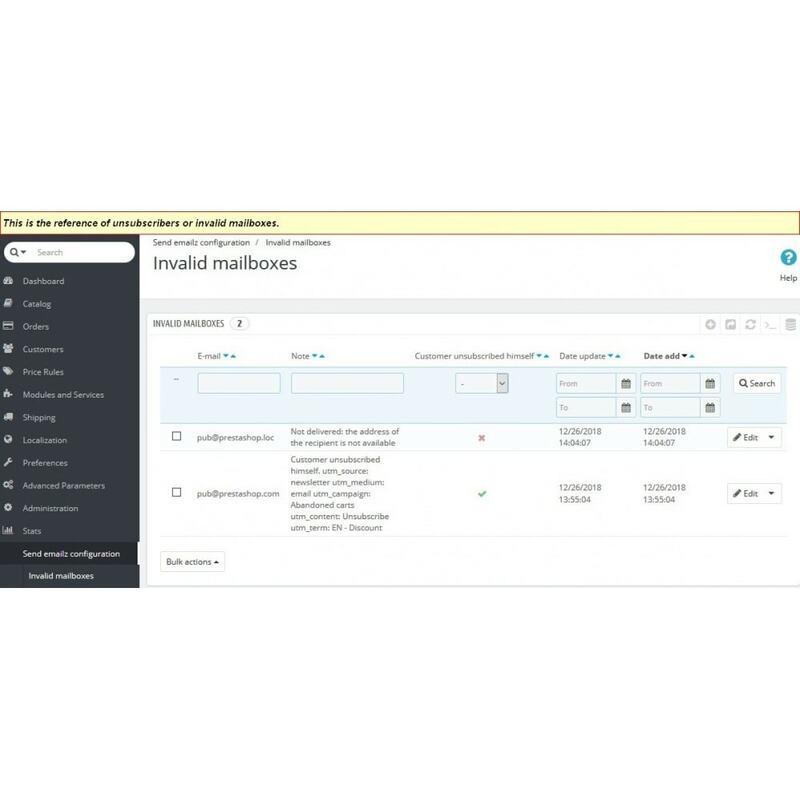 The module has features to protect your shop's email from blocking by anti-spam systems (there are two settings: maximum delay in seconds after each e-mail has sent; number of emails to send for one run time). The module adds UTM-labels for each URL (these labels are important thing for a marketing campaign). The module adds unsubscribe link to each newsletter for one click unsubscribe (this link also include UTM-labels). The module also adds the subscribers block to different places of a site. 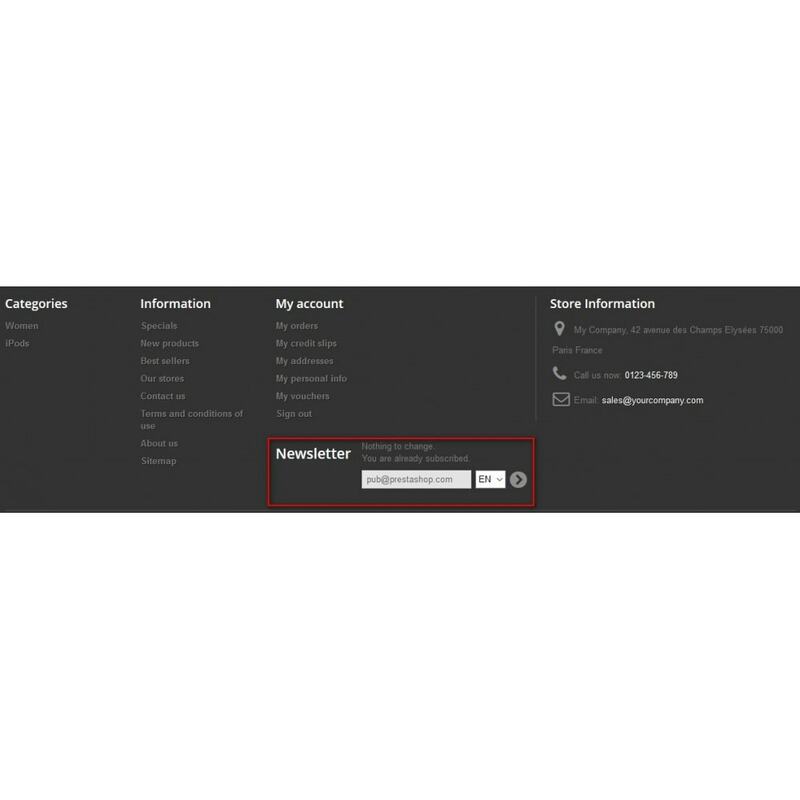 E-mails that are applied to send message are saving to a history to prevent duplication (this history should be cleaned before next emailing of a new message). A Merchant can test his configuration before really sending the messages. And other features (see screenshots). With this module the default module "Block Newsletter" (blocknewsletter) will no longer be needed. 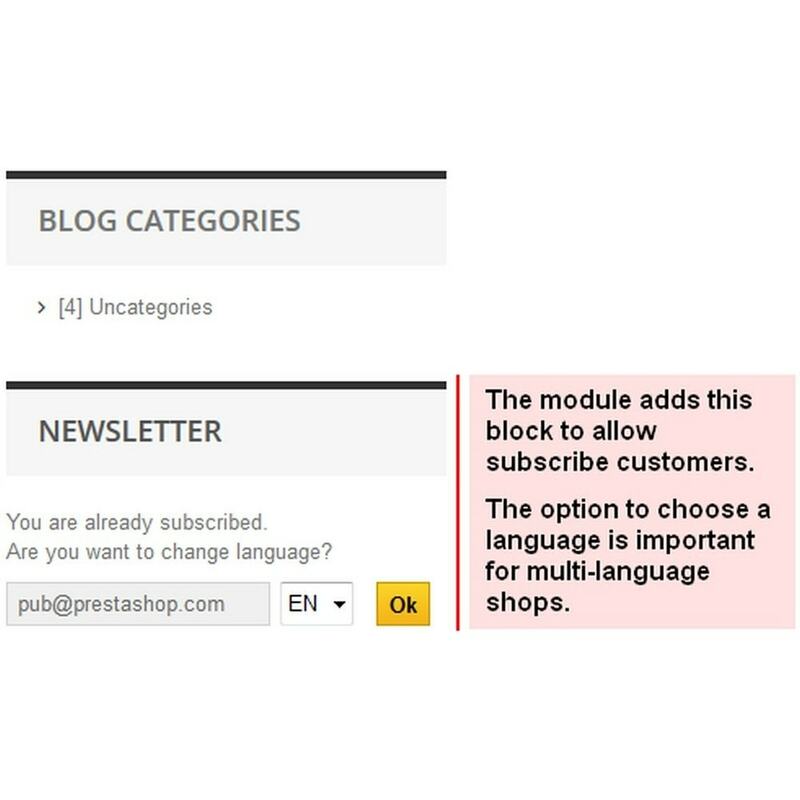 A customer can choose his language when subscribing from the subscription block. 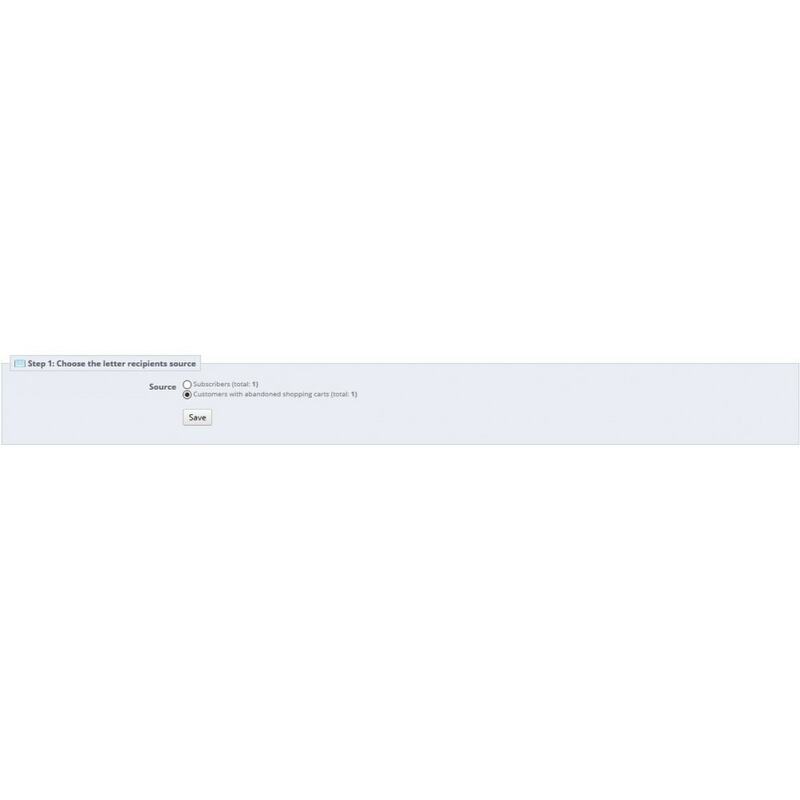 The module has a normal installation (one click to install) and it is easy to configure. added support for Swift 4.0, which is used in recent versions of PrestaShop 1.6.